Having a problem with satellite TV reception in the UK? Some basic help with satellite TV reception woes. I’m having problems with my satellite TV reception – HELP! Weather: Heavy rain is no friend to satellite TV reception. If high winds cause problems, that could indicate that the dish is not securely fixed. Check connectors: Are the F-Plug connectors at the back of your satellite TV box secure and tight? Reboot the box: Sometimes restarting a satellite TV box is worth a go. Switch the box off, unplug from the mains, leave for 1 minute, then try again. Check external cabling: Take a look at the cabling from the dish – Undamaged? Secured at the dish end correctly? No chance that water can leak into the connection at the dish end? The LNB is the part of a satellite TV dish that does the hard work. The LNB typically sits on a short pole pointing in at the centre of the dish – the one pictured to the right. Problems with polarisation. Satellite channels are either transmitted on ‘vertical polarisation’ or ‘horizontal polarisation’, and the LNB switches between the two polarisations as requested. If you lose all of the channels from one polarisation, but not the other, this could point to a problem with the LNB. See Lyngsat for a list of channels with their polarisation. If you have a problem with your LNB, then it may need to be replaced. If you’re with Sky, call them for advice, and to get someone out to fix it, otherwise you could do it yourself with a replacement LNB available from Maplin.co.uk. Hi can you help I have a sky box I can get free sat but can not get bbc1 bbc2 itv on TV screen it says not receiving satellite signal this is in Spain. My television keeps breaking up. I have an outside dish. No tv box. Freesat and hd Sony television. These problems have only recently occurred. Outside where dish is looks secure and in order. I would like this problem solved asap as its spoiling my television viewing! I have a tv in bedroom upstairs with an indoor ariel with excellent reception. Please can you tell me what is going on ?? I have the same issue have you been able to get it fixed?? I have a new TV. I can see the english channels but I can only get one spanish channels instead of the 10 or 11 I used to get. What can I do? I don’t have reception at night always, please, tell me what likely is the issues with it, thanks. 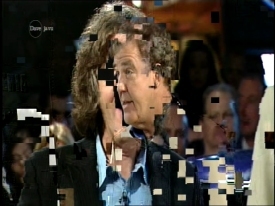 Suddenly of late ITV HD (178) has random pixelation problems, not on any other channel. The signal strength and quality is excellent, have done planner rebuild and STILL get this on ITV HD. Going to call Sky to ask why it is happening – don’t hold out much hope as they only read off a script! we have had the same issue with itvhd on 119 freesat. Called freesat who suggested a factory reset to the Humax set top box which we did but it didnt make any diffference. We also have a Sagem set top box which has the same problem with itv hd. I think someone needs to be honest as they are now taking the pi**!! Any comments itv and freesat?? have the same issue for months—all HD channels via FREESAT are great except ITV HD .. i was beginning to think i needed a new dish or to change the lnbs …but after reading other comments with same issue am pleased i dont have to spend out….and that it could be an issue with the provider rather than my end …. Same problem with ITV HD from FREESAT. Random picture break up. All other HD channels are perfect. Contacted FREESAT who suggested a factory reset to my TV,(Sound familiar) which I have not done because the problem would appear on all HD channels if the problem was with the TV. My very expensive Sony TV is running current software, Installed new dish, cabling, everything checked out fine, signal, quality etc…problem has to be with the provider. Come on FREESAT do something about it and stop trying to push the blame onto someone else. Or shall we just switch to FREEVEIW? Im fed up with Freesat passing the buck. Itv hd 119 pixelating so badly on Freesat I can’t concentrate on Euro 2016 or their terrible commentary. I wonder if their advertisers know ? I’ve had repeated breakup on ITV-HD while watching their coverage of Euro 2016 games this last week or so. My wiring is short and the dish was professionally set up and is firmly attached; it’s been fine since installed for the World Cup in 2010. The symptoms are picture break-up and audio stuttering, implying a reduced data stream. Other channels work fine and it seems better on ITV’s non-HD channel, presumably where the available datapipe is up to the requirement. I hope ITV can sort this glitch out with Freesat, else, HD is a no-no. I will send posts to FreeSat and ITV to alert them to the problem. i also have the same issue and like most of you thought it was something my end.. but after watching/recording hours of BBC HD over the festive season, can safely say i dont think its freesat … so come on ITV Pull your finger out … its rather annoying ..
I’m having problems with all hd freesat channels. Brand new TV as previous TV wouldn’t work with any channels at all on freesat so was told it was the tuner on the television. Just bought new TV and all freesat channels are going except for the HD ones which are breaking up. Any thoughts? Excellent information! I had no idea bad weather could be a cause. Many thanks!